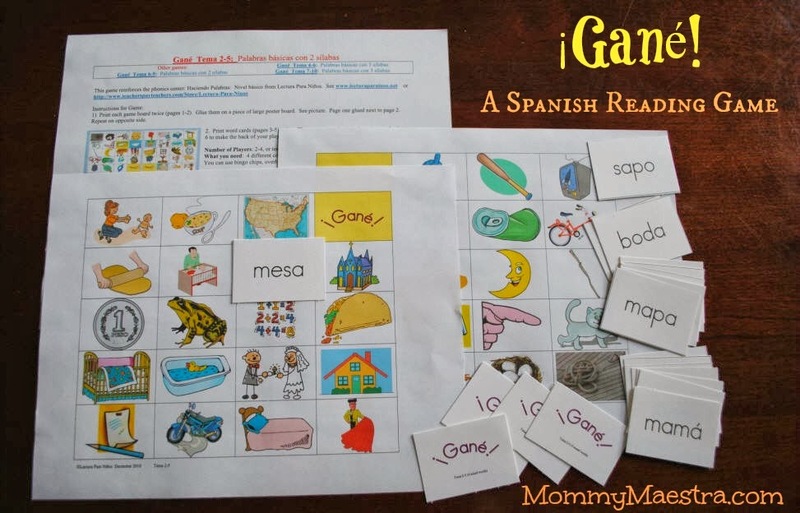 Today's freebie from Lectura Para Niños is a game called, "Gané." Leah says that she made this game to reinforce the phonics center that she created to go along with Theme 2-5 and reading basic 2-syllable words. She has more games that have 3-syllable words that will eventually go up on her TPT site, but not quite yet. They are done, she just hasn't loaded them. Leah says: "I hope your readers like this game. My students LOVE playing this game, especially once they have figured out how to read. They ask to check out the game and play it with their families! :-)"
Also, Lectura Para Niños is having a 20% sale off of all materials on their TPT site from Oct. 6-8 to say thank you for all of your support! They finally reached 100 likes on Facebook, and almost 100 followers on their TPT site. So be sure to take advantage of her sale - all of their materials are fantastic. This is awesome Monica! Thank you!